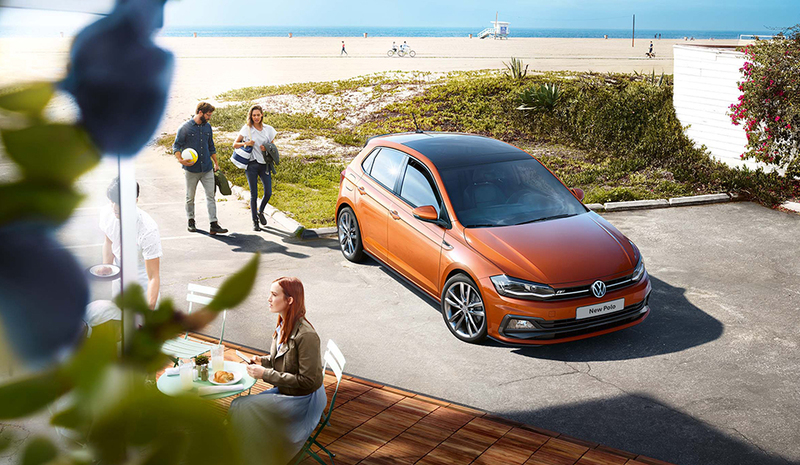 The moment you set eyes on a New Polo, you�ll see that every inch has been carefully considered to bring you a vehicle with charisma at every curve. 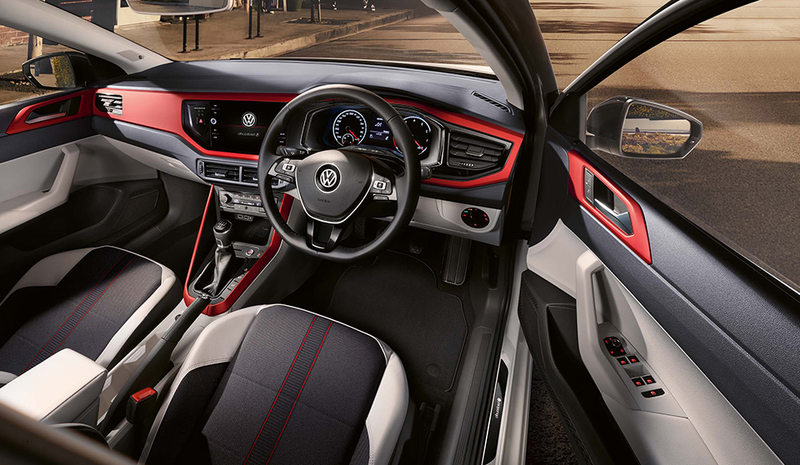 From front to back, the New Polo features a masculine arrow-shaped tornado line. This distinct new design line cuts a dash along the side of the car, from the indicators all the way to the rear lights. 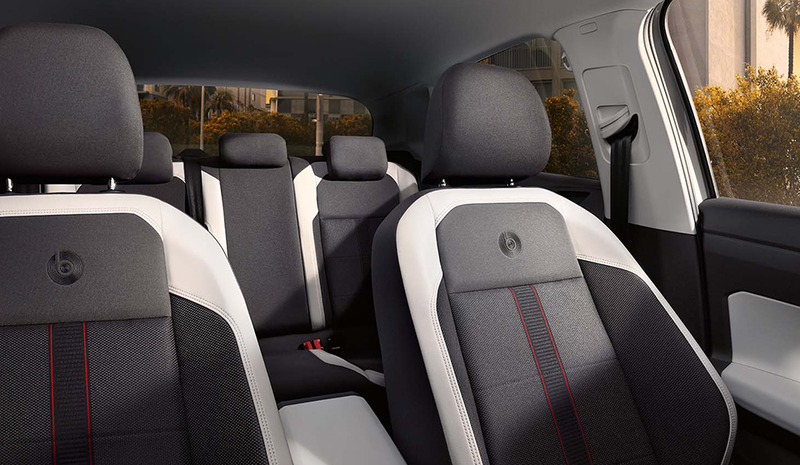 This structures the car�s side profile, forming a strong shoulder section that gives New Polo a bolder presence than before. Our entry level model offers unbelievable value and a wide range of safety features as standard. Available with 5 doors. Stay connected to your world with Car-Net App-Connect smartphone integration. Available with 5 doors. 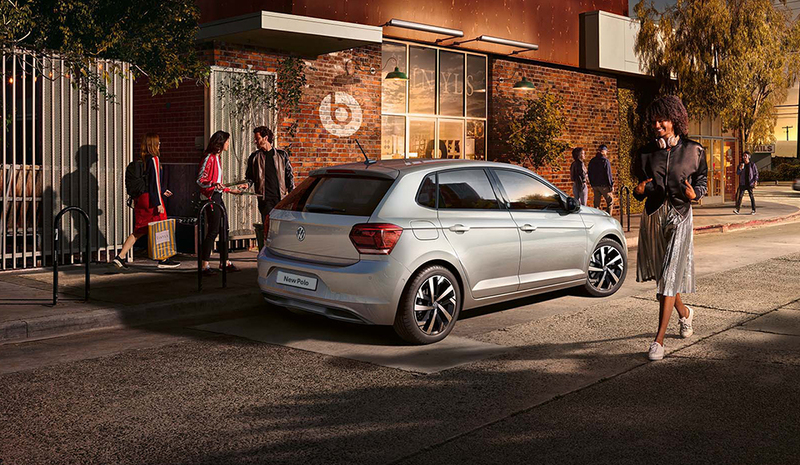 Polo �beats� special edition with distinctive style and sound. Available with 5 doors. The R-Line offers more sporty styling with 16� Galvano Grey �Sebring� alloy wheels, �Carbon Flag� sports seats and R-Line specific front & rear bumpers. Available with 5 doors. The luxury version with everything from 16" �Las Minas� alloy wheels on the outside to leather steering wheel, and touch-screen navigation on the inside. The Polo GTI returns with 17� �Parker� alloy wheels, sports suspension lowered by approx. 15mm and �Jacara� cloth seats. Available with 5 doors. 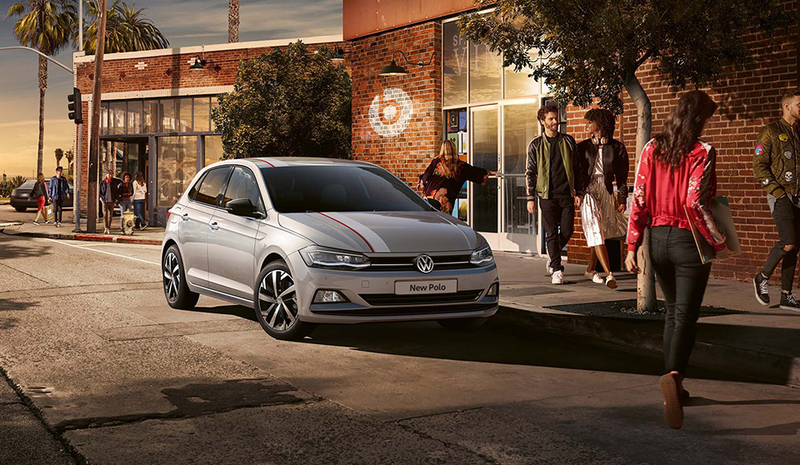 For those who like a little bit more with their Polo GTI, LED headlights, tinted rear windows and Active Info Display are all included as standard. Available with 5 doors. INTRESTED IN THE NEW POLO? Terms & Conditions Apply. *This information should be used for illustration purposes only. Standard EU Test figures for comparison purposes, may not reflect real driving results. Indemnities may be required. 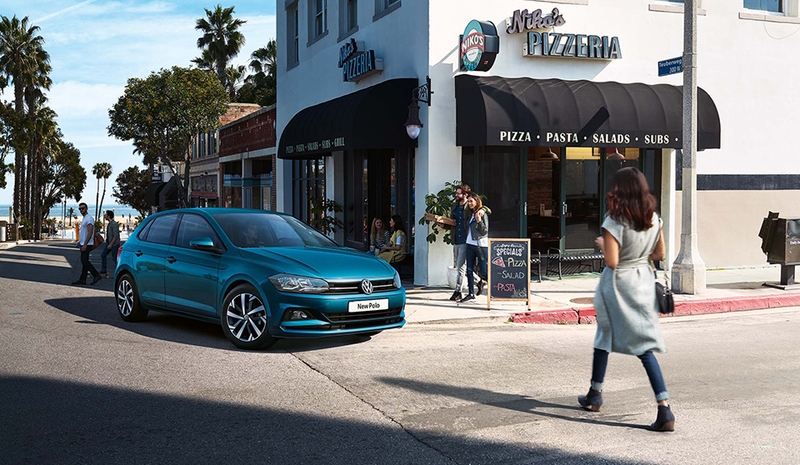 ^One year�s free insurance from Volkswagen Insurance is available on new Polo models ordered from 3rd April to 1st July 2018 and registered by 30th September 2018 for drivers aged 18-80. Excludes GTI and GTI+. Drivers under 18 are not eligible. Excludes Northern Ireland. Drivers aged 18-24 are required to share their driving style data with a telematics product. Other eligibility criteria apply. Go to www.insurewithvolkswagen.co.uk/polo for full terms and conditions. This offer may be extended, changed or removed at any point. Volkswagen Motor Insurance from Volkswagen Financial Services is arranged and administered by Carrot Risk Technologies Limited.